Following the success of their HIV/AIDS Education Programmes in Masasi in previous years, the Minchinhampton Group has been asked by Bishop Patrick to organise an HIV/AIDS Education Training Conference in Masasi in 2012. The estimated costs for this are in the region of £3,500. 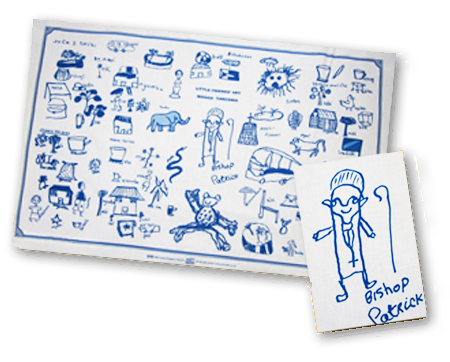 To raise funds for this project the Group has produced tea towels, illustrated by Masasi children and including a picture of Bishop Patrick. The tea towels cost £5, including postage.